Direct Stafford Loans are available directly from the federal government. These federal education loans offer competitive interest rates and flexible repayment terms. If you’re considering private loans that may potentially have higher interest rates and stronger terms and restrictions, you should definitely look into what Direct Stafford Loans have to offer you. Students who are attending school at least on a half-time basis are eligible for Direct Stafford Loans to help pay for their education. The first step in applying for a Stafford loan is filling out the Free Application for Federal Student Aid, or FAFSA. Once complete, an Institutional Student Information Report will be sent to your school. The ISIR form will help determine how much you can borrow and your eligibility. There are two different forms of Direct Stafford Loans available. Unsubsidized Stafford loans are available to both medical and graduate students. 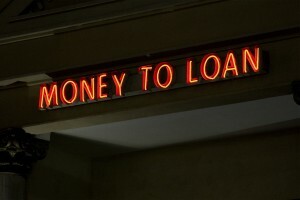 These types of loans build interest from the moment the loan is handed out until it is fully repaid. Subsidized Stafford Loans are one of the least expensive loan options available. With subsidized loans, the government pays the interest while the student continues their studies. This in essence makes it a zero-interest loan. The interest rate on Stafford Loans is determined by the federal government. The interest rate is adjusted on July 1st ever year, but works under the variable/fixed interest rate format. Medical students can get enough to meet their personal budget or cost of attendance with Stafford Loans. The COA typically includes tuition, fees, supplies, and some compensation for housing. If a Stafford Loan is unable to cover all of your expenses, you should research other loan options that are available to you. This includes federal loans, institutional loans and private loans. It’s best to speak with a financial advisor to explore your options and help you make a decision.